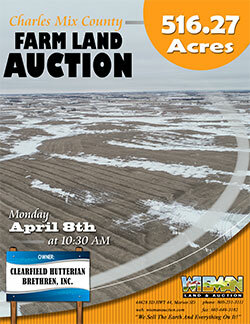 Owners: Clearfield Hutterian Brethren, Inc. Here is an excellent opportunity to acquire 516.27 acres of, all contiguous, tillable and hunting land located in a tightly held area of Charles Mix County! If farming is in your plans, there are approx. 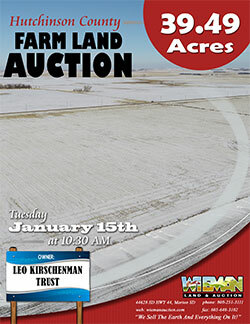 468 tillable acres that are ready to farm in 2019. 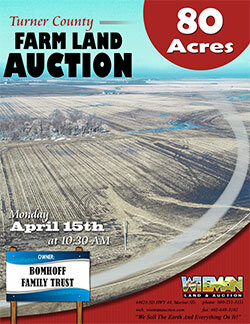 This farm has good soils and would make an excellent addition to any producer, cattleman, or investor. The SE ¼ in Section 24-96-62, Charles Mix County, SD. The W ½ SW ¼ & SW ¼ NW ¼ in Section 25-96-62, Charles Mix County, SD. Parcels 1, 3, 4, 5, & 6; SE ¼ NE ¼; & W 1013’ of S 573’ of NE ¼ NE ¼ and the E 433’ of S 573’ of NW ¼ NE ¼ all in Section 25-96-62, Charles Mix County, SD. 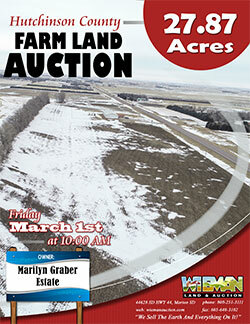 Lots 8 & 9 in NW ¼ of Section 30-96-61, Charles Mix County, SD. 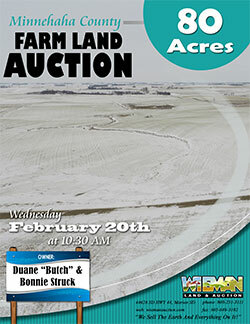 It is our privilege to offer this large, well-balanced, pasture & tillable land auction located in the heart of cattle, grain, and hunting areas of Tripp County. 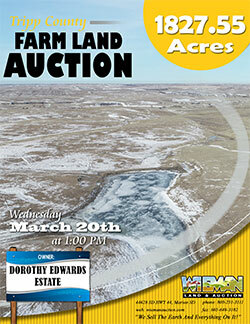 Auction to be held at the Holiday Inn convention room, Winner, SD. Section 21, 102-76 Tripp County, South Dakota. Tract 4 - Lots 1 – 5 & S ½ of the NE ¼ & SE ¼ of the NW ¼, in Section 6, 101-76, and Lots 3 & 4 and the E ½ of the SW ¼ and SE ¼ of Section 31, 102-76, and SE ¼ and the S ½ of the NE ¼ of Section 36, 102-77 all found in Tripp County, SD. The E ½ E ½ NE ¼ (less E 495.47’ S 544.5’ N 1206.5’ except E 50’ & except Lot H2) & (less N316’ except lot H2), all in Section 11-98N-56W, Hutchinson County, SD. The NE ¼ NW ¼ of Section 11-97N-57W, Hutchinson County, SD.